Coming to steal our hearts with his sultry Vocals, Temisan is the next music sensation set to captivate the hearts and minds of good music lovers across Africa and beyond. Born, Tonnie Temisan Francis, Temisan has been a performer from the early age of 5 and developed himself in the arts of songwriting, dancing, singing and performing with credits coming from winning the popular Malta Guinness Street Dance Competition in 2008 with the Soul Quest Crew. 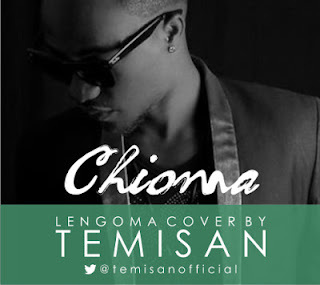 Temisan is probably the last of a breed of artistes with original African sounds. He calls his style of music "SUKO". The multi-talented artiste has a captivating Boyish Charm which the ladies can't get enough of as well as an extensive knowledge of playing the piano and the guitar among other instruments. His earliest music influences include; Sade Adu, Donell Jones, Yossou N’dor and BoysIIMen which formed part of his fundamentals in music, performing and Song writing. The song was produced by Prod. By @midebeatz.